Sticky, sweet, fall-off-the-bone ribs are guaranteed to make any carnivore’s heart beat that little bit faster. Whether it’s a succulent rack of pork belly ribs, beef on the bone, dripping in basting, or slow-cooked lamb smothered in a glossy sauce, this meaty dish is a favourite everywhere from smart steakhouses to dive bars and smokehouses. Drop the knives and forks: we’ve found some of the best steakhouses and dive bars around SA to serve gloriously sticky finger-licking beef and pork ribs. Apart from their popular basket of sticky barbecue spare ribs at R198, which is served with hand-cut wedges and aioli, they also offer a basket of sticky barbecue chicken drummettes at R85. However, it’s the sharing board of sticky goodness called the Sticky Met Board (R259) that gets our vote. It includes sticky barbecue spare ribs, beef sausage wheels, sticky barbecue chicken drummettes, hand-rolled olive meatballs, grilled cocktail tomatoes, a bowl of additional sticky barbecue sauce and a couple of warm artisanal rolls. The barbecue sauce is made in-house and is an ever-popular item at this hangout frequented by customers of all ages. Outside Craft in Parkhurst. Photo courtesy of the restaurant. It’s easy to associate sticky ribs, wings and other saucy, messy foods with family restaurants only, but Philippe Wagenfuhrer’s elegant eatery serves an array of easy-eating, casual food items on its outside patio. Wooden boards boast items like pork ribs with star-anise jus (R55) and homemade hot wings served with lemon-and-herb sauce (R45). Their secret barbeque sauce is an amalgamation of garlic, soy sauce, ketchup, golden syrup, English mustard, dark brown muscovado sugar, red wine vinegar, hickory smoke liquid and umami paste. Philippe’s grasp on flavours and tastes ensures that your ribs will not only be hearty, wholesome and delicious, but also elegant and refined. The ribs at Eat in Northcliff. Photo courtesy of the restaurant. Even though this franchise is relatively new, its name seems to pop up often when customers speak of great food and service. Their selection of ribs – basted in either old-school barbecue or peri-peri sauce – is vast and comprehensive. 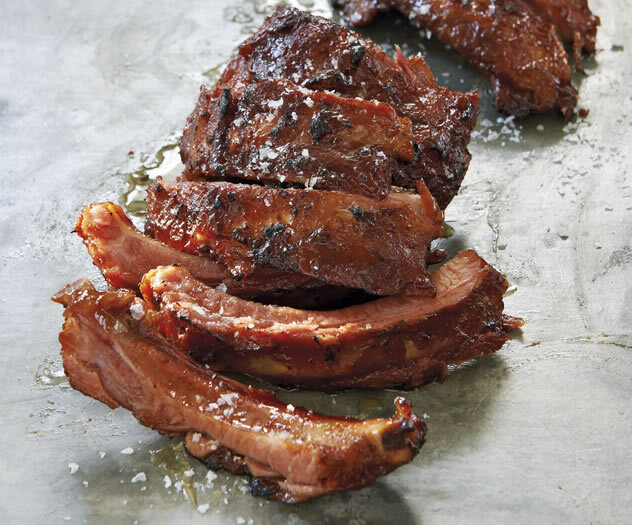 Pork ribs come in quarter, half, three quarter and 1kg portions (R65 to R240); and beef ribs can be ordered in either a half (R135) or a full kg (R270) portions. For customers who like to push the boundaries, there’s a special of 1/4 kg ribs cut into strips and tossed in Sweet Fire or honey barbecue sauce for R60. Their chicken wings come in increments of four, eight, 16 and 32, with prices ranging from R26 to R180. Flavours are buffalo (hot), mofo (very hot), peri-peri, old-school barbecue, teriyaki or Italian parmesan, with side servings of dips in ranch or blue-cheese flavours. 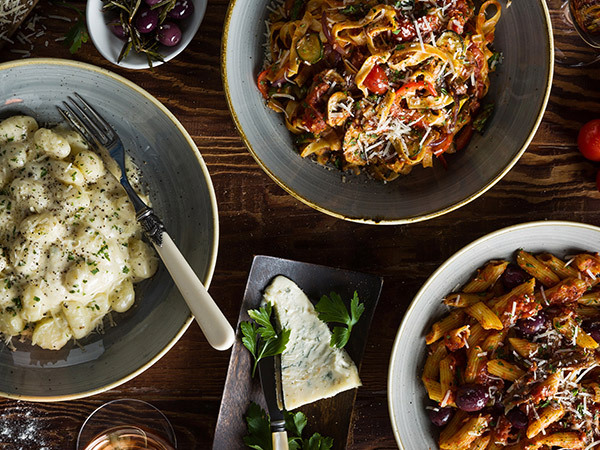 Another restaurant that may have more of a fine-dining image, Punchinello’s in the Tsogo Sun Hotel at the Montecasino complex actually has a magnificent pork basket. 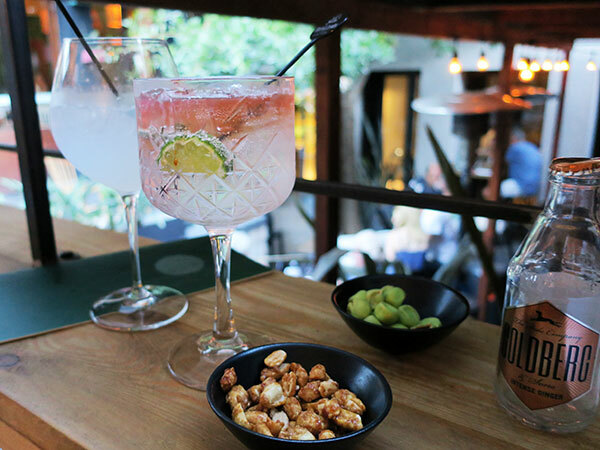 Book a table on their terrace and tuck into sticky pork ribs in a grain-mustard-and-honey dressing, pork-bun sliders, crisp streaky bacon strips, and pork dumplings with Asian dipping sauce. Stanley Beer Yard Ribs. Photo courtesy of the restaurant. What better accompaniment to accompany a glass of ice-cold beer than a generous portion of sticky ribs? This is exactly what you can expect at Stanley Beer Yard at 44 Stanley Avenue. 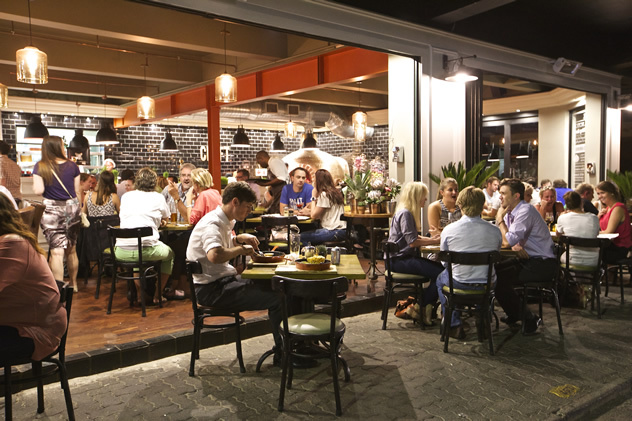 The outside dining area calls for casual meals for which you need to roll up your sleeves and get stuck in. Marinated baby back and belly ribs are served with either shoestring potato fries or a cabbage side (R95 for 350g; R135 for 600g). These guys are on a mission to cook up the best ribs in town. Choose between southern-style slow-cooked pork or beef ribs that have been finished off in their Iron Maiden wood smoker. All ribs are served with a choice of chips and battered onion rings, salad or roasted veggies at R100 for 500g and R180 for 1kg. Best served with a pitcher of one of their many beers. The interior at Capital Craft Beer Academy. Photo courtesy of the restaurant. Meat is their specialty, so you can bet on having some excellent ribs at this steakhouse. 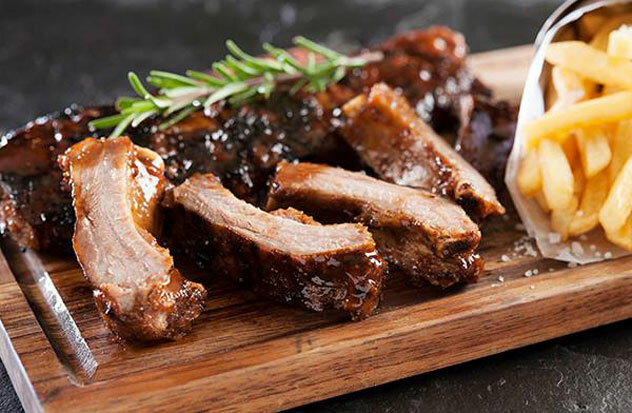 Tuck into flame-grilled pork loin ribs basted in a signature barbecue glaze and served with your choice of starch at R155 for 500g, R185 for 800g or R199 for 1kg, or go for beef ribs, flame-grilled with their famous barbecue basting, at R149 for 500g or R189 for 1kg. For easy-going pub grub, head to this bustling casual eatery. Grab a plate of succulent pork belly ribs that are grilled, basted and slow-roasted in an extra caramelised sweet chilli, ginger, coriander and sesame sauce. 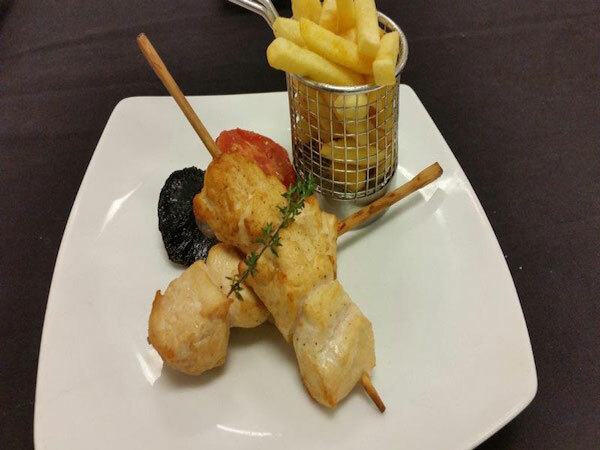 Served with a side of chips, rice, baked potato, mash, salad or vegetables at R95 for 600g or R175 for 1kg. This famous steakhouse is known for generous portions and hearty grills. Enjoy a generous portion of sticky spare ribs with your choice of chips, mash, baked potato, rice or creamed spinach and butternut at R135 for 600g or R199 for 1.2kg). Or tuck in to the saucy lamb ribs for R165 for 600g or R235 for the large portion. All ribs and grills on the menu are prepared with their famous barbecue basting or spicy black pepper, mustard seed and salt. Perfect for a lingering lunch or slap-up dinner with friends, this smart-casual spot offers a range of rib dishes. 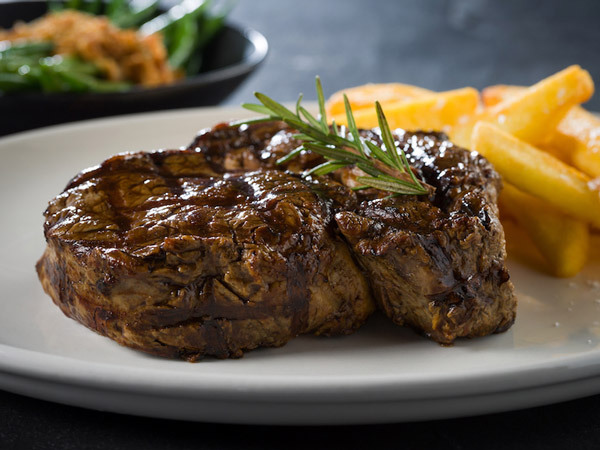 Try the 500g prime rib on a short bone, flame grilled and served with a grilled bone marrow and bordelaise sauce for R135, or the slow-roasted lamb rib (R125), served on sweet potato mash with a white-wine-and-rosemary jus. Pork lovers can also order the 600g portion of pork ribs marinated in the Harlequin’s homemade tangy sauce for R120. Outside at the Hillside Tavern. Photo courtesy of the restaurant. Choose between portions of either traditional or Portuguese-style ribs (R135 for 450g; R165 for 650g). The traditional ribs are marinated in a sweet-and-sour sauce, while the Portuguese ribs are not basted, but served with a lemon, garlic and peri-peri sauce. Both come with a choice of chips, rice, vegetables, mash, onion rings or salad. The interior at Kream. Photo courtesy of the restaurant. This sophisticated eatery’s menu offers a range of dishes, from sushi to elegant mains. Try their smoked pork loin ribs that arrive sticky and glossy in a tangy barbecue basting sauce with a side of golden onion rings and skinny fries. (R149 for 600g). 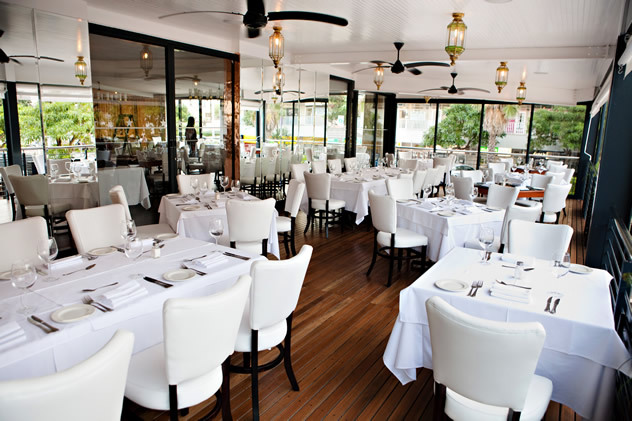 This Umhlanga steakhouse is a favourite for locals and visitors to the bustling seaside area. Tuck into rack of pork spare ribs basted in their famous sweet and sticky barbecue glaze, grilled to perfection and served with a choice of one side (R140 for 500g; R250 for 1kg), or try one of their rib combos such as the rib and chicken flattie (R185), rib and lamb chops (R225) or rib and rump or sirloin (R215). The interior at The Butcher Block. Photo courtesy of the restaurant. 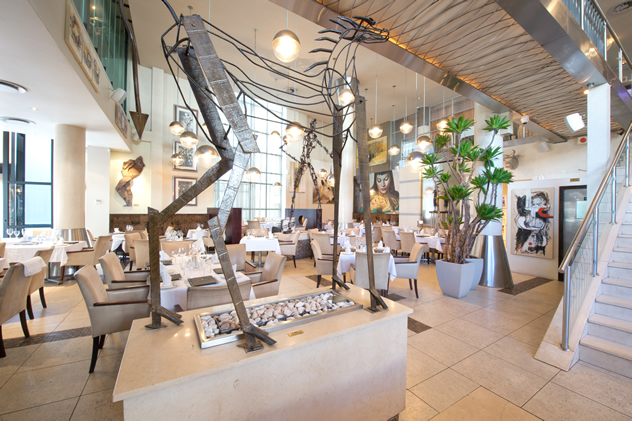 Perfect for carnivores, this stylish steakhouse offers a great wine list and juicy grills. Try a large portion of succulent deboned pork ribs in a homemade sticky and sweet chilli glaze, served with golden fries chips to mop up the sauces, or a carb-free side, for R135. 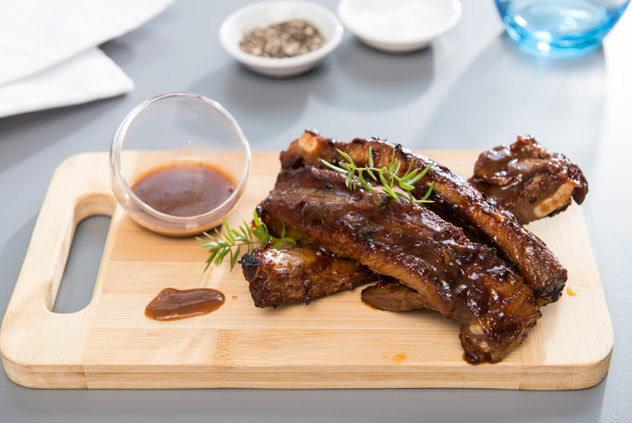 A stalwart in the Durban area, this popular steakhouse serves meaty spare ribs in their signature sweet and sticky barbecue sauce with a choice of starch or a side salad (R92.50 for 400g; R185 for 800g). 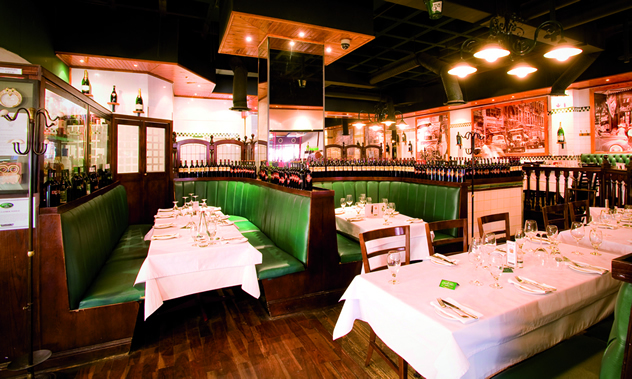 Ideal for a sophisticated date night or a working lunch, Little Havana offers a range of meat-rich dishes alongside delicious sides. Indulge in their pork loin rack of ribs in a glossy glaze of apple, mustard, chilli and cumin, alongside Durban-style onion rings, shoestring fries, seasonal veg or crisp Greek salad, for R160. Inside at Little Havana. Photo courtesy of the restaurant. While also known for its famous smashburgers and spicy wings, Rocomamas satisfies with pork ribs done in quarter (R65), half (R130), three quarter (R180) and 1kg portions (R240), and beef served in half (R135) and 1kg portions (R270). The ribs are served in your choice of flavour such as Old Skool BBQ or peri-peri. Want to kick it up a notch? 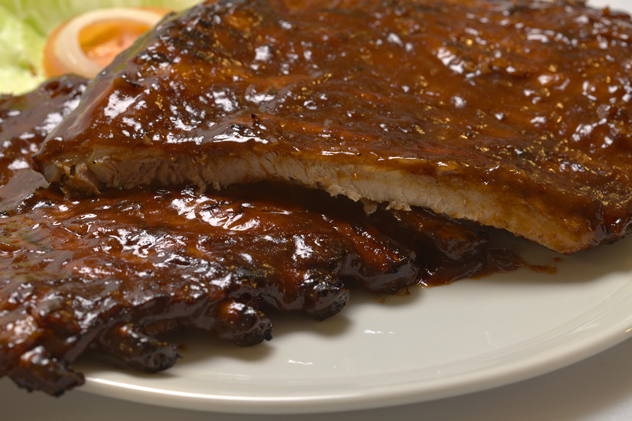 Try the ribs in a special order of Sweet Fire or Honey BBQ flavour for an extra R60. 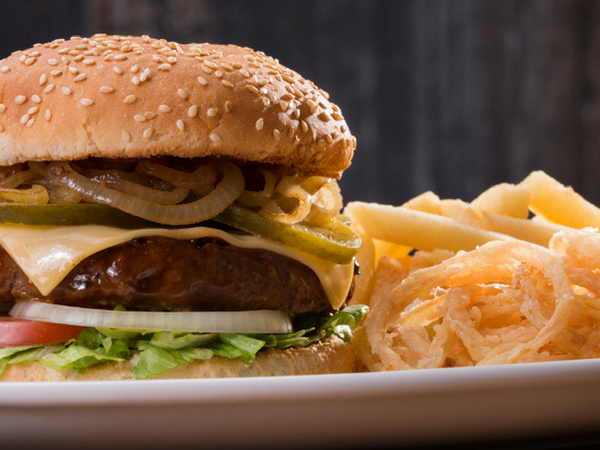 This is the place for burgers, saucy ribs and gourmet shakes. The ribs offering is served in a portion of 300g (R109) or 600g (R169). Enjoy yours with a house barbecue, peri-peri or sweet-chilli-and-pineapple sauce. Get a side of fries or indulge in a portion of their cheese sauce fries. 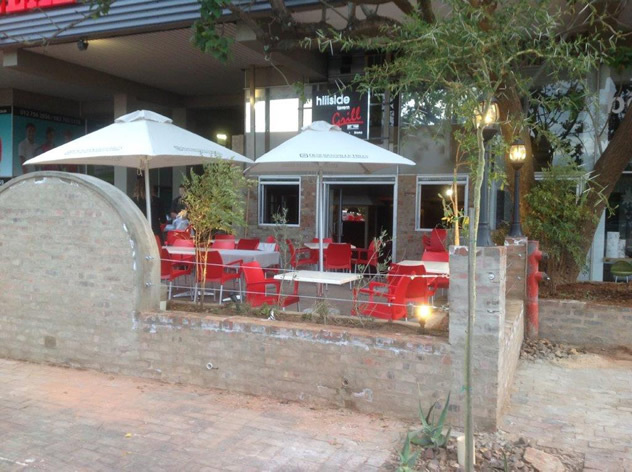 Alternatively, go for one of their combos such as the ribs, wings and chips (R110) or the wings, ribs and calamari (R150). 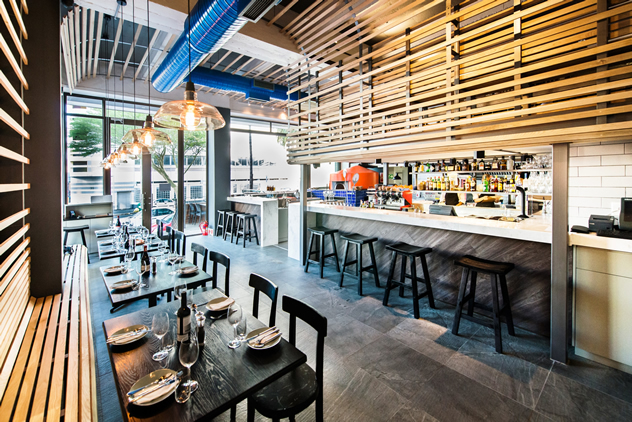 Braai food is served in a relaxed environment at this Regent Street eatery. Guests can sit in the balmy outside area next to the grill and tuck into lip-smacking ribs straight off the fire. Here the juicy beef ribs are basted in a sticky barbecue sauce for R150 per kg. Mop up the sauce with a choice of garlic roll, roasted baby potatoes, or a creamy potato salad for an extra R20. If you’re in a big group, ask your waiter about the braai platters so you can enjoy a little bit of everything. The interior at Bocca. Photo courtesy of the restaurant. This trendy Bree Street Italian eatery is not famous for its pizzas only; the pork belly ribs have won their fair share of hearts. Seasoned with chilli and basil, these bites are served perfectly cooked and crispy in a finger-style tapas dish for R60, so it might be best to order more than one plate. This sophisticated steakhouse serves up an impressive range of meat dishes with an extensive wine offering too. Succulent pork spare ribs are grilled with a smoky barbecue or chilli basting and served with a choice of starch or vegetables. For something a little smaller, try their starter portion of sticky pork riblets done in a Chinese-style glaze with chilli, honey, garlic and ginger. 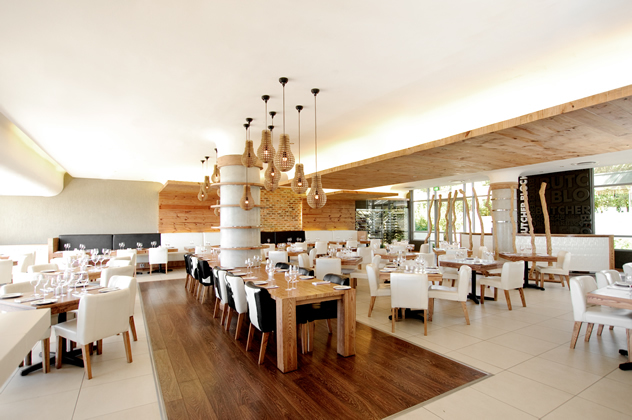 The interior at The Butcher Shop & Grill in Sandton. Photo courtesy of the restaurant. Sink your teeth in to their house-favourite BBQ spare ribs dish. These succulent, sticky bites are marinated and basted with a special secret rib-basting for R125 per 400g and R145 per 600g. Alternatively, try their rib and calamari combo with deep fried rings and a 400g portion of ribs for R145. 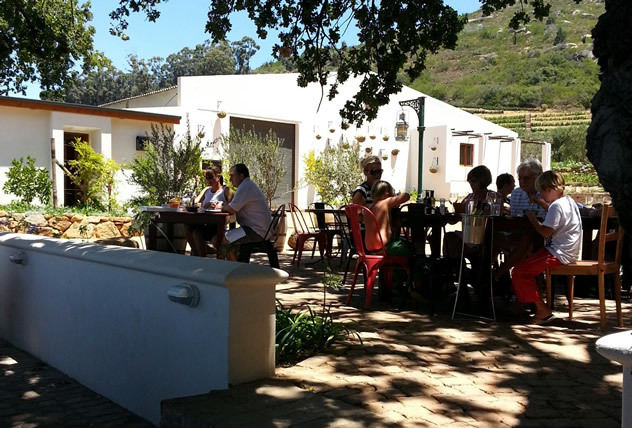 This buzzing local favourite offers sea views and meaty pub grub. 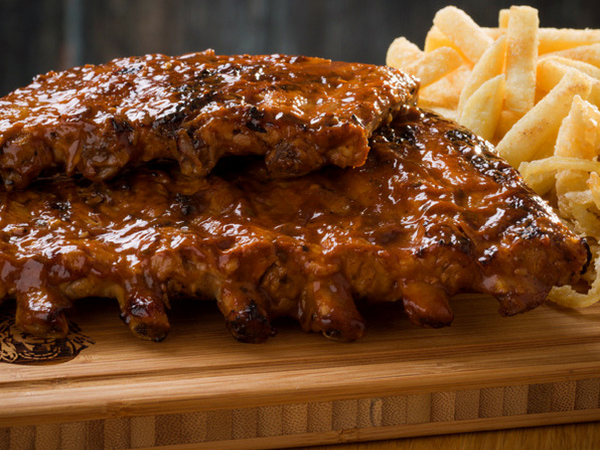 Order 600g succulent ribs, coated with homemade sticky barbecue sauce and served with crunchy chips, for R135. There’s something to suit every taste on this grillhouse menu. For a smoky option off the wood-fire, try the barbecue pork belly ribs for R172. 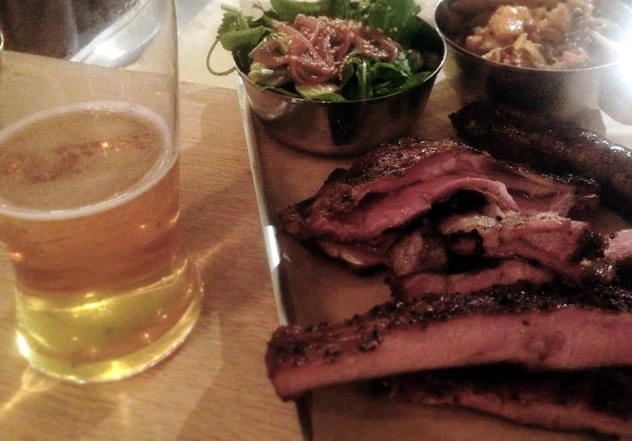 The half rack is dusted with house-made barbecue dry rub and slow roasted on the fire. The sticky pork or beef rib starter goes for R75 and comes grilled to perfection in a glorious barbecue sauce. If you’re looking for a larger portion, opt for the 600g smoked barbecue baby back ribs in a sweet sauce (R170), or try the 600g succulent smoked barbecue lamb ribs (R190). Pork Ribs at Gibson’s Gourmet Burgers and Ribs. Photo courtesy of the restaurant. 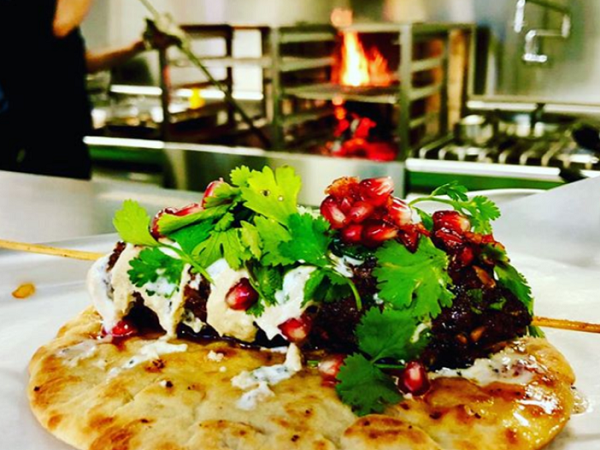 This hip brewery is all about slow-cooked meat, artisanal breads and beers. The Texan-style smokehouse menu offers sticky lamb ribs as a starter portion done in sweet barbecue Bourbon marinade for R35. For mains, prepare yourself for their gorgeously smoky and finger-licking pork spare ribs cooked to perfection on the barbecue (R45 per 100g). Pair this portion with one of their comforting sides like the hand-cut chips with truffle aioli, braaibroodjies, or fire-roasted corn on the cob with goat’s butter. Ribs and beer at Hog House Brewing Company. Photo courtesy of the restaurant. This iconic grill offers spare ribs at R155 for 400g or R195 for 800g and pork belly ‘hog’ ribs at R135 for 300g or R179 for 600g. Both versions are grilled and then marinated in basting and sweet sauce and served with a side of chips, rice, mash or baby potatoes. Ribs and chips at The Hussar Grill. Photo courtesy of the restaurant. This dive bar is famous for sticky barbecue pork ribs smoked on site. These saucy beauties arrive in a 450g portion with fries and coleslaw for R95. Alternatively, sink your teeth into the slow-roasted lamb ribs for R80, which come with a fresh lemon-and-mint yoghurt dressing and golden fries. 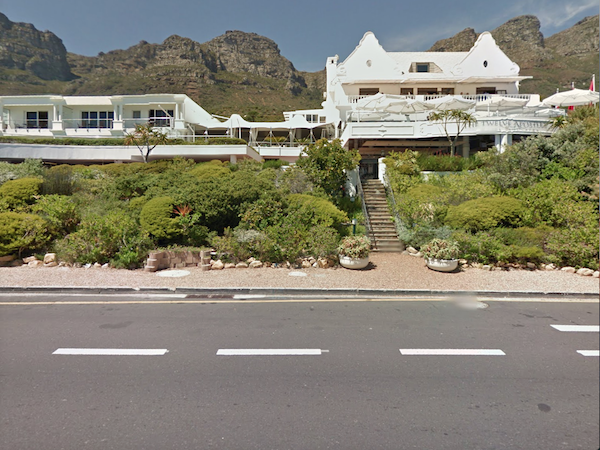 Voted the Best Steakhouse in the Western Cape at last year’s Best Everyday Eateries, Pirates trades in saucy ribs. Tuck into tender pork belly ribs with a tangy barbecue basting and a choice of chips, rice, baked potato, garlic baby potatoes or a side salad for R130 for 400g or R180 for 700g. For the extra-hungry, there’s the ‘ribs and rump bites’ combo of mouthwatering pork belly ribs and tasty fat-filled rump bites for R180. Ribs at Pirates Steakhouse and Grill. Photo courtesy of the restaurant. 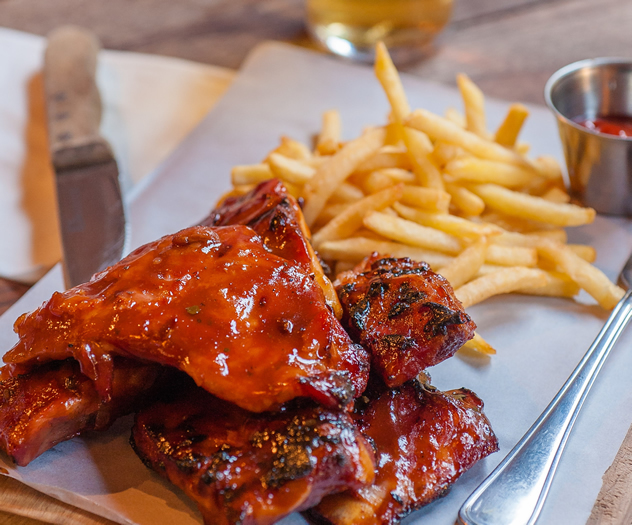 This famous ribs joint satisfies Cape Town’s hungry meat lovers until late with their sweet and sticky barbecue pork ribs served with fries and crispy onion rings, or sweet potato fries (R80 for 300g; R130 for 600g; R195 for 900g). Beef fans can also opt for the 300 Grammer barbecue-style ribs. There is also a range of rib combos and platters for the extra hungry. This rustic, comfortable eatery offers an extensive menu that includes 500g falling-off-the-bone pork ribs served in a sticky and spicy homemade basting with crunchy vegetable tempura and fries for R152. Outside at the Blacksmith’s Kitchen. Photo courtesy of the restaurant. You can bet on having some excellent ribs at this specialist steakhouse. Tuck into flame-grilled pork loin ribs basted in a signature barbecue rib glaze and served with your choice of starch (R155 for 500g; R185 for 800g; R199 for 1kg), or opt for the beef ribs, flame-grilled with their famous barbecue rib basting (R149 for 500g; R189 for 1kg). The famous Hussar Grill offers spare ribs (R155 for 400g; R195 for 800g) and pork belly ‘hog’ ribs (R135 for 300g; R179 for 600g). Both versions are grilled, then marinated in basting and a sweet sauce, and served with a side of chips, rice, mash or baby potatoes. The ribs at Hussar Grill. Photo courtesy of the restaurant. 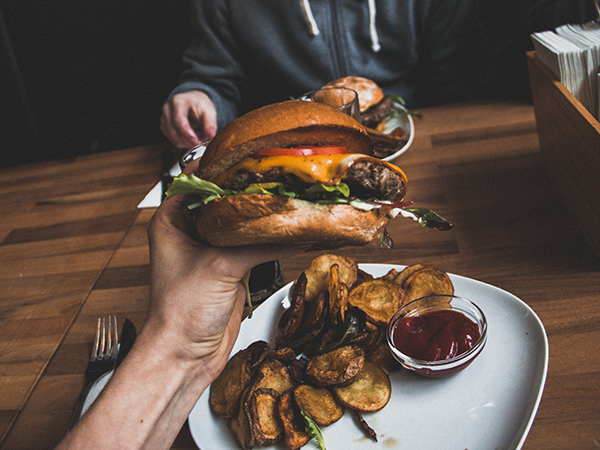 You don’t need to order burgers to enjoy a meal at this popular joint. Get messy with a portion of sticky barbecue beef ribs (R85 for 400g; R155 for 800g), which are grilled, basted and served with a portion of fries. For hungry carnivores, there’s the rib-and-wings combo of 400g ribs and 300g wings served with fries and a blue-cheese dip for R130. While we take care to ensure that our information is correct and up to date, please note that some items and offers may change without our knowledge. Want to share your favourite spot for sticky ribs? Tell us about it in the comments below. Spiro’s in Hout Bay do mean, sticky ribs. And they have a special on a Wednesday. R120 for 1kg. Try the new Beast Restuarant in Honeydew Rock Cottage Center! Their ribs are amazing!! How the hell has Thunder Gun not made it into the Joburg list? OMW – you haven’t mentioned Hobnobs in Harfield Village – awesome pork ribs – 1kg for R120 – any day of the week – and suuuuuuuperb! As is their garlic sauce. 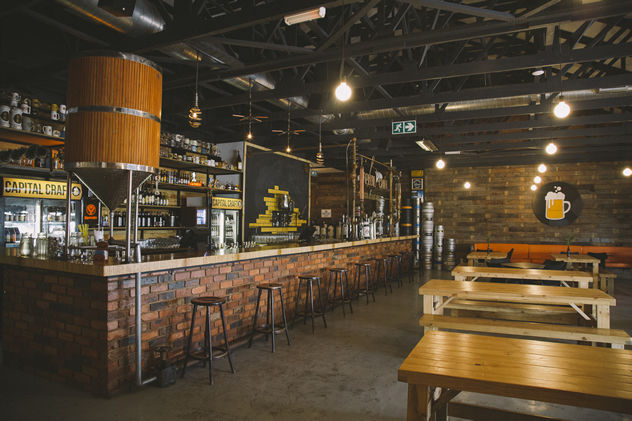 For Cape Town it has to be Van Hunks at No1….best ribs I’ve ever had and served in a cool bar where you can get down and dirty with a great selection of craft beers and red wine! Try a calamari basket to start! You really don’t want fine cutlery and white table cloths when you’ve got your elbows out and your teeth in the ribs! I could do ribs for breakfast at that joint! Nomad Bistro & Bar on c/o Long and Waterkant Street, Cape Town City Centre. Bottomless ribs for R99 or ribs + wings for R119, Friday through to Sunday. The servings are generous, the ribs are decently sized, perfectly basted, soft and succulent. Literally the best ribs I’ve had in town, second to my homemade recipe. Nomad’s ribs are so good I was actually kindly and jokingly asked to stop eating after my 5th plate cause they were scared they’d run out. I’m there at least once a month.